A 21-year-old arrested and charged for burglarizing three Camden businesses last week with a friend is the daughter of Darci Kistler, former principal dancer for the New York City Ballet, and Peter Martins, chief of the ballet company. Talicia Martins was arrested with 20-year-old Jacob Flanagan after the pair allegedly broke into and stole from the Smoothie Shack, Francine Bistro and Camden Cone last week. Both live in Manhattan, New York. According to her Instagram account, newspaper articles that mention her name and a birth announcement in the New York Times that cites Martins’ date of birth on June 13, 1996, which was corroborated by the Knox County Jail in Rockland, she is the daughter of Darci Kistler, who served as the principal dancer with the New York City Ballet for nearly three decades before she retired in 2010. Martins’ father, the famous Danish choreographer Peter Martins, has been the master and chief of the New York City Ballet for nearly 35 years. Talicia Martins was featured in a 2013 Vanity Fair portrait gallery of “debutantes” pictured at the annual Paris fashion who’s who event, the Crillon Ball, and the internet is littered with photos of the girl at red carpet events around the world. Martins was charged with burglary and felony theft late last week and taken to the Knox County Jail in Rockland on Aug. 3. She was bailed out later that day for $1,500. 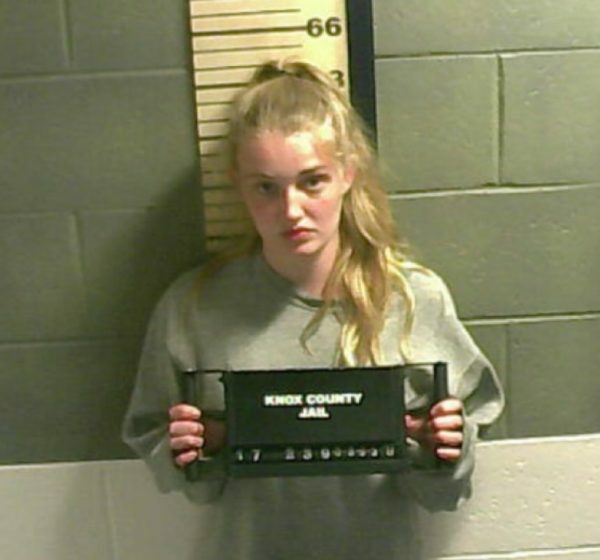 Flanagan was charged a day later with three counts of burglary, three counts of felony theft and criminal trespassing. More than $1,000 was stolen, but Andrick decline to disclose a total amount. He was bailed out Friday afternoon for $1,500. Camden Police Department Detective Curt Andrick said drugs and alcohol were a factor in the burglaries last week but declined to elaborate. According to the Knox County District Courthouse, no court dates have yet been set. Correction: An earlier version of this story misidentified the New York City Ballet.